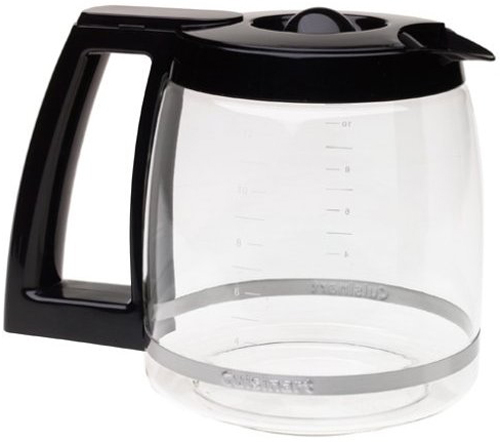 The Cuisinart DCC-1200PRC is a 12-cup replacement black glass carafe for use with DCC-1200 and DGB500BK coffeemakers. The Replacement Carafe Dcc1200/Dgb500 Nickel has many exciting features for users of all types. The Replacement Carafe Dcc1200/Dgb500 Nickel is sold as a Brand New Unopened Item.